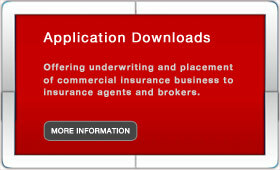 Offering underwriting and placement of commercial business insurance to insurance agents and brokers. Knowledge. Turnaround. Service. What you deserve. The Jack Nebel Companies is an independent commercial insurance wholesale broker, managing general agent, and Lloyds of London correspondent servicing independent retail insurance agents and brokers in the Midwest. We pride ourselves on being first to the market while providing our agents with over 100 years of combined underwriting experience. Being 100% independent allows us to be flexible and nimble, capable of responding to the evolving market changes and your insurance needs. We realize we would not be here without your support so we appreciate your business and never take it for granted. We want to make your hard to place insurance business a personable and enjoyable experience. After all, this is what makes doing business together fun. If you’re not currently receiving the service and turnaround that our marketplace demands, please give us a try today and see why we have been professionally and promptly “solving your puzzles” for over 20 years. National Association of Professional Surplus Lines Offices, Ltd.